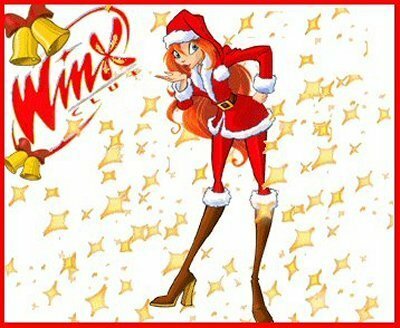 Winx Bloom Merry Christmas!. Cute!. Wallpaper and background images in the Bloom club tagged: winx club bloom nice cute the best. This Bloom photo might contain 动漫, 漫画书, 漫画, 卡通, and 漫画卡通.